Nikolai P. Bogdanov-Belsky (1868 – 1945) painted this classroom with eleven students resolving the problem written on the blackboard: (102 + 112 + 122 + 132 + 142)/365. Professor Sergei Ratxinski is in a poor public school because of kids’ clothes and he’s listening… what? What is this little blond boy saying? He has probably discovered that 102 + 112 + 122 = 132 + 142. In this case, the solution is very simply! 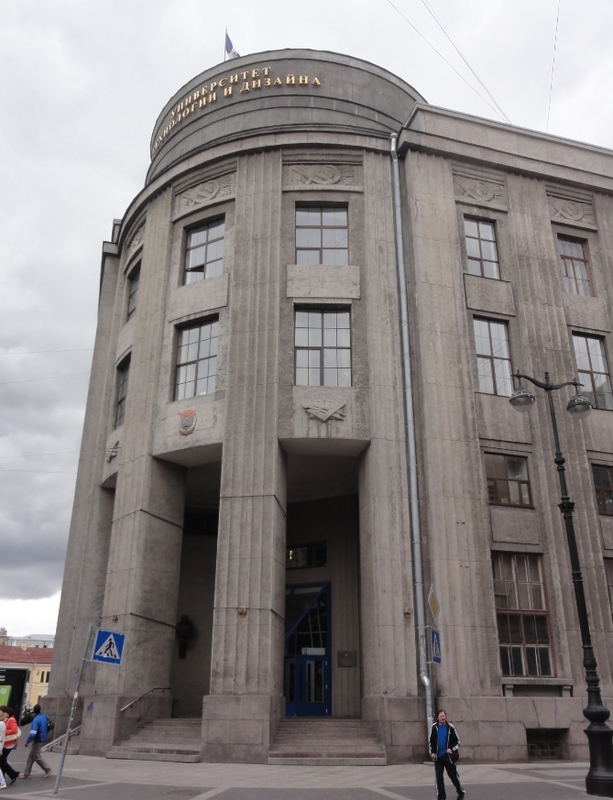 The Public University of Technology and Design is in the centre of Saint Petersburg. 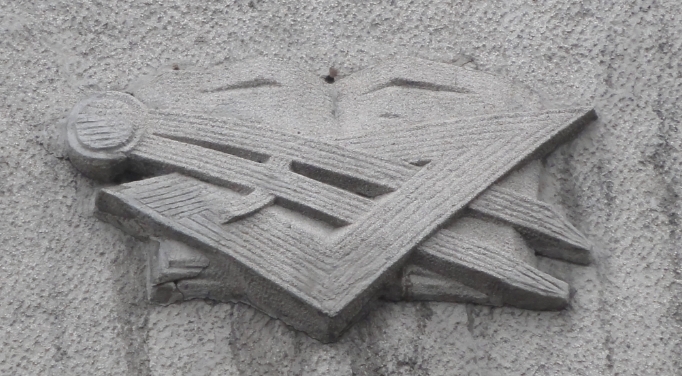 It’s a very Soviet grey building which is decorated with a compass and a bevel under its windows. I suppose that both instruments represent the design but… they are mathematical instruments too, aren’t they? The Singer House was designed for the Russian branch of the Singer Sewing Machine Company. We fix our attention in it because of the glass globe crowned by a celestial globe of the corner. When the Singer House was built it was forbidden o build a house higher than the Tzar’s Winter Palace (23,5 m). Then the architect Pavel Suzor decided to construct this tower in the corner of the building so it made an impression of high rise. Its architect was Amandus Adamson. Today it’s the biggest book shop of the city. 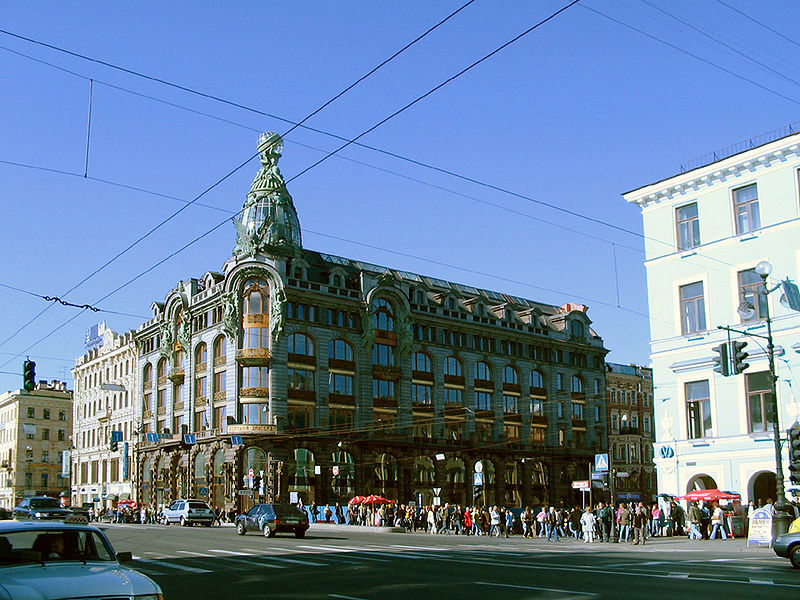 THE HOUSE OF BOOKS (28 Nevsky Prospect) is the biggest book department store in St. Petersburg. 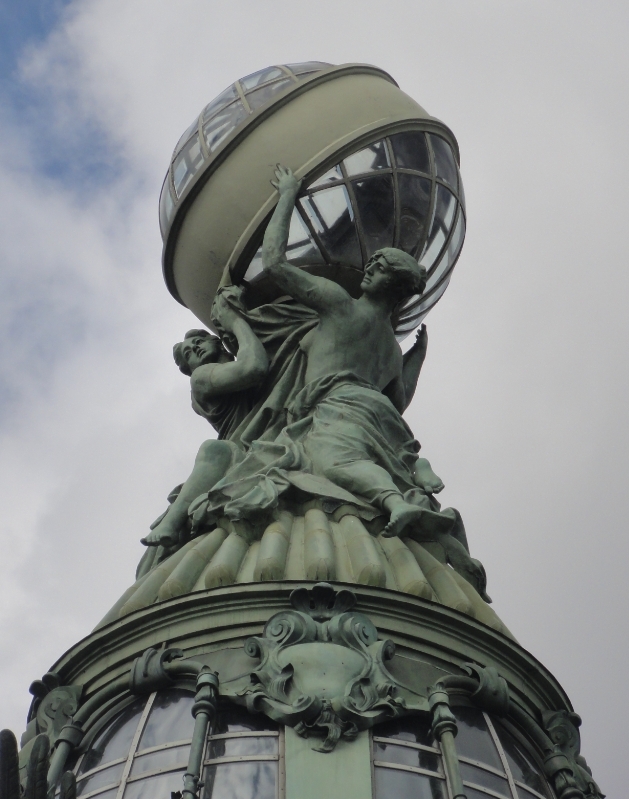 It was housed in the former building of the Zinger company: the seven-storied building with a high corner tower crowned with a glass sphere is a shining example of art nouveau architecture (1902-04, architect P. Y. Suzor, sculptors A. G. Adamson, A. L. Ober). The Consulate of the USA was housed here in the 1910s. The building was given to the book storehouse of the Petrograd State Publishing House in 1919. Soon the House of Books became the main book store of Leningrad, at the beginning of the 1930s it passed to the jurisdiction of LenKOGIZ. In the years of the siege it continued to work intermittently up to the end of November 1942. It was opened anew, after the repairs, in November 1948. The trade in the House of Books is carried on the ground floor and on the first floor; approximately 20,000 books of various spheres of knowledge were in assortment in 2003. Departments of inquiry and bibliography and the department Book by Correspondence operate. There are subsidiaries on 30, Liteiny Avenue, 4, Bolshoy Avenue of Vasilievsky Island, 9, Shevchenko Street, 20, Lenina Street etc. Editorial offices of the journals Kniga i Revolyutsiya (The Book and the Revolution), Literaturnye Shtudii (Literary Studies), Zvezda (the Star), Leningrad Departments of the publishing houses the Children’s Publishing House, the Soviet Writer, the Art, the Enlightment, Fiction, the union Leningrad Book etc. were housed in the House of Books in different years. Book trade was transferred stage-by-stage to 62 Nevsky Prospect due to the reconstruction of the building on 28 Nevsky Prospect. Near the cathedral of Saint Isaac in Saint Petersburg, there is this sundial which goes unnoticed by most of the tourists who walk around it. Tapping was the only way of communication between prisoners in single cells. They used so called “prison alphabet”. Letters in alphabetical order were accumulated in a table of six lines and five columns. 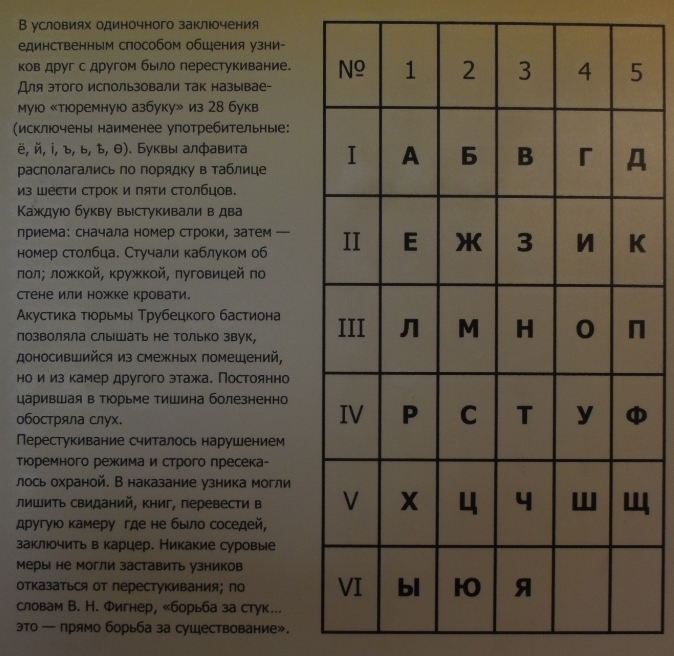 Each letter was tapped in two steps, number of a line, then number of a column. Prisoners “spoke” tapping the floor, walls or legs of a bedstead. This encrypting method is also known as Polybius square. Polybius was a Greek historian who lived in the IInd century BC and he is supposed to have invented the method. 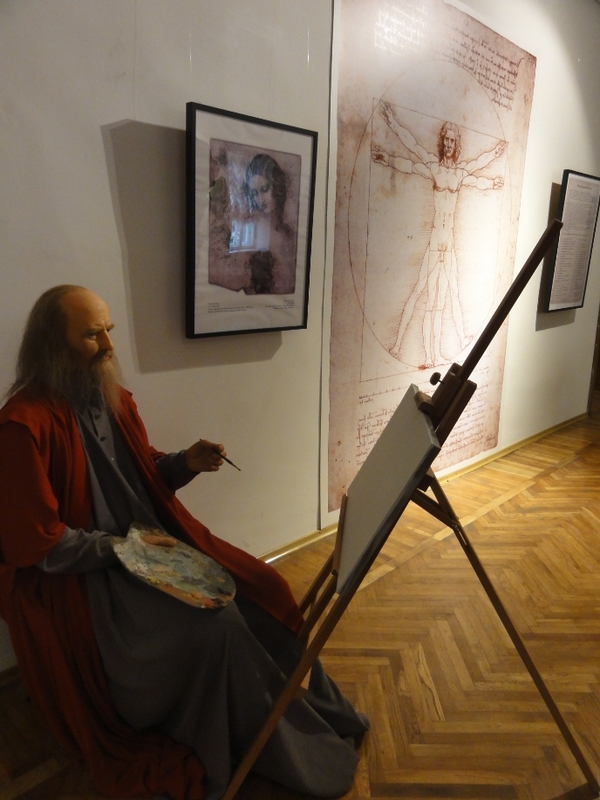 Last August, I was lucky for visiting an exhibition about Leonardo da Vinci inside the Peter and Paul Fortress. 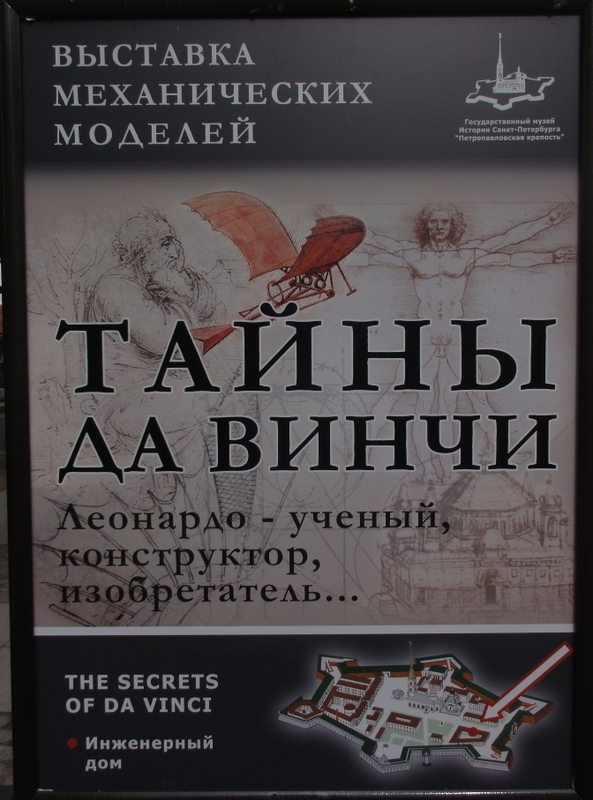 It’s obvious that you don’t have the aim of visiting this kind of exhibitions when you are walking through the streets of Saint Petersburg but… Leonardo needed to be visited! I bought the ticket and my visit was fast because my wife and children decided to wait for me outside. Nevertheless, the exhibition seemed very interesting to me. 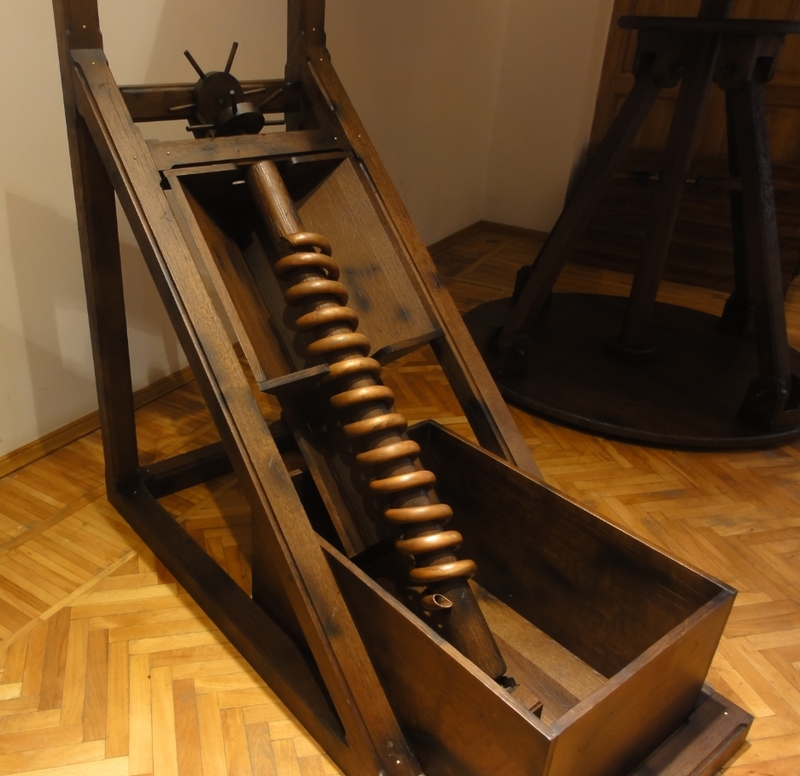 The “secrets of da Vinci” are more technological than mathematical but I found this delicatessen: the Archimedes screw! The device, capable of lifting water without application of human force was known in ancient times already. For the first time such a device was described by the Greek mathematician Archimedes (287-212 years BC). Leonardo developed several advanced versions of this device. He studied the correlation between the inclination of an axis and the necessary number of spirals. Thanks to improvements by Leonardo it became possible to pump over a larger amount of water with smaller loss. Furthermore, I met Leonardo starting to paint his famous “Last Supper” with his Vitrubius man behind him and a representation of the sacred scene opposite to him. I hope that this exhibition wouldn’t be temporary and everybody could enjoy it! Vassili Evdokimovitch Adadurov (1709-1780) attended religious studies in Novgorod. When he was 14 y.o., he joined the Slavic Greek Latin Academy (founded in 1685-1687) and graduated in 1726 to become a mathematics student and principal disciple of Jacques Bernoulli at the University. Because of his aptitudes and the recommendation of Bernoulli, Adadurov was appointed to assistant professor of mathematics and translator of German language and two years later he participated in the standardization of the Russian language. Regarding the area of mathematics, he was the translator of Euler’s works from German to Russian and Latin so he deserves to be buried next to Swiss grand-master in Laura Alexander Nevski in Saint Petersburg. If you want to eat in Saint Petersburg you can go to this restaurant and enjoy a good meal but… have you seen its advertisement? 1 + 1 = 1? Then… Which is the sum of the two hearts!